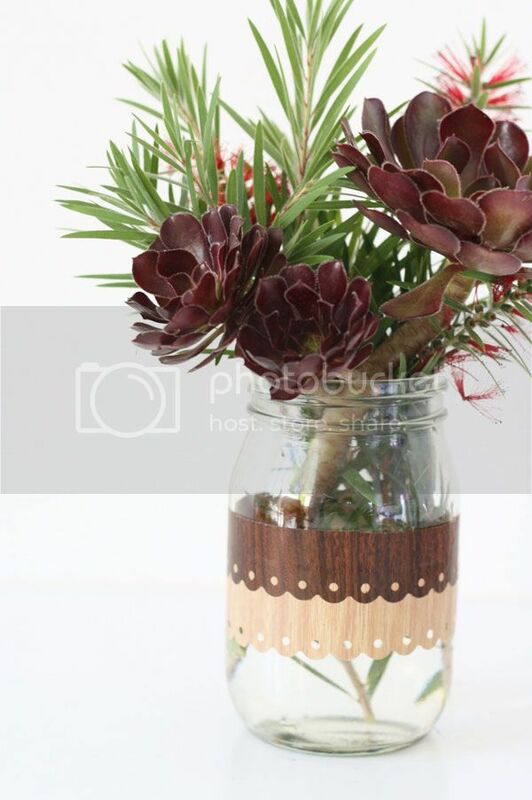 It's hard not to notice the emerging trend in design circles for all things wood grain, and mason jars are also a popular prop with stylists at the minute. Why not combine the two to create a practical and decorative piece that will cost you next to nothing. 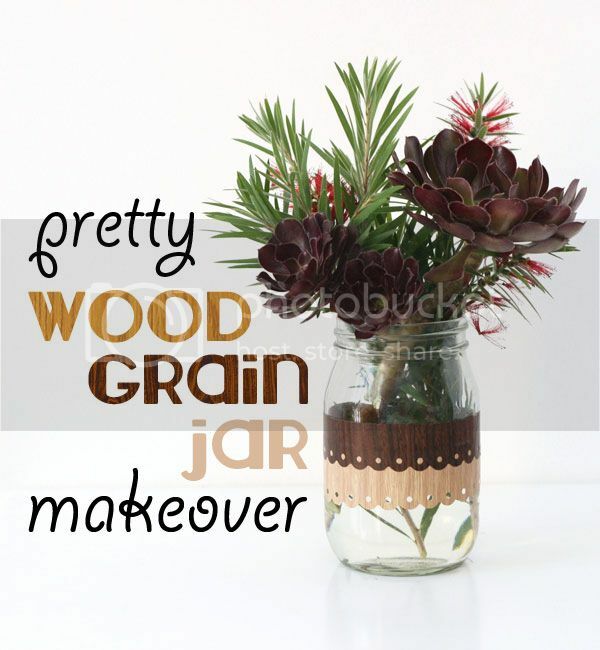 Use the finished jar as a vase, for craft storage or to make your pantry just a little prettier. One wide mouth jar. I've used and old mayonnaise jar and soaked off the label. Wood grain vinyl adhesive contact paper, light and dark. Feel free to substitute with other colours or patterns. Cut a strip about one inch wide in both the dark and the light adhesive. Measure around the jar and trim leaving about 1/2 an inch overlap. Use your punch to create a decorative edge on both strips. Peel off the backing and stick on the lighter strip about half way up the jar. Hint: half fill the jar with water to give you a level guide. Add the darker strip on top. 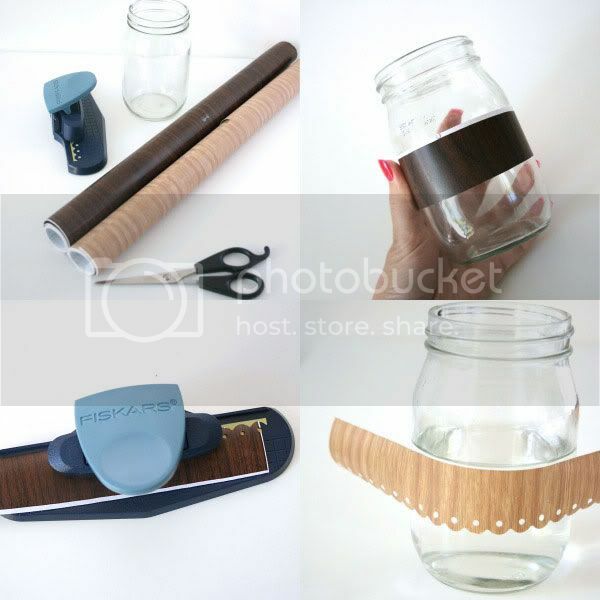 Why not make some extra pieces of lacy wood grain adhesive strips and use them for scrapbooking projects or gift wrapping in place of paper tape? I originally created this project for A Spoonful of Sugar, view the guest post here.